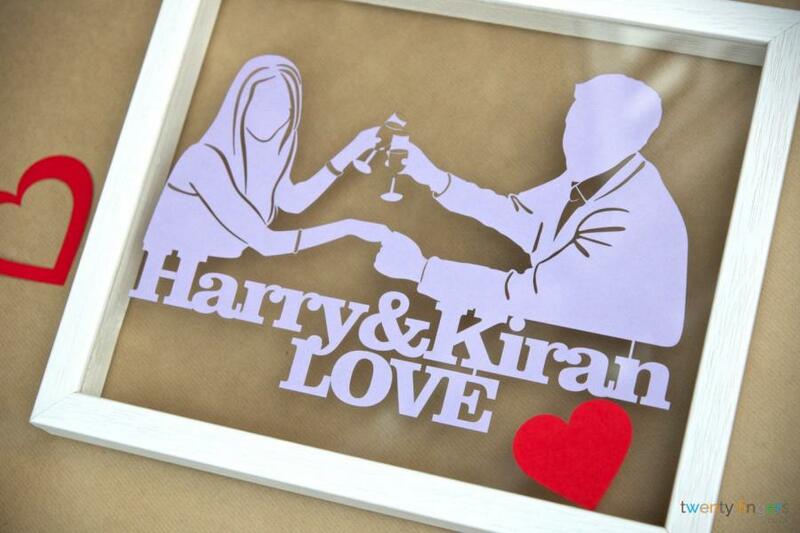 Show the person you love just how much they mean to you with this beautiful Silhouette Papercut. 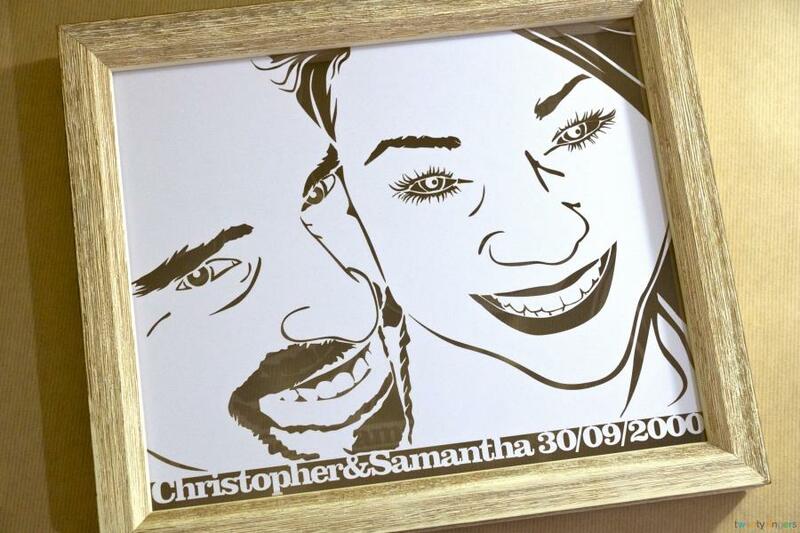 Whether you’re looking for a romantic gift for your anniversary or a thoughtful birthday present, a bespoke piece of artwork like this is guaranteed to impress. 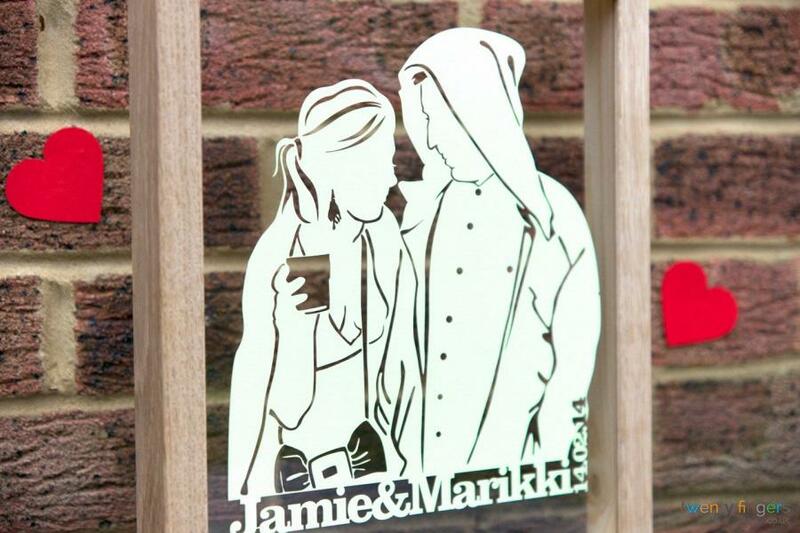 We make all of our papercuts ourselves, using the finest quality coloured paper and inject a little love, care and attention into each one we create. 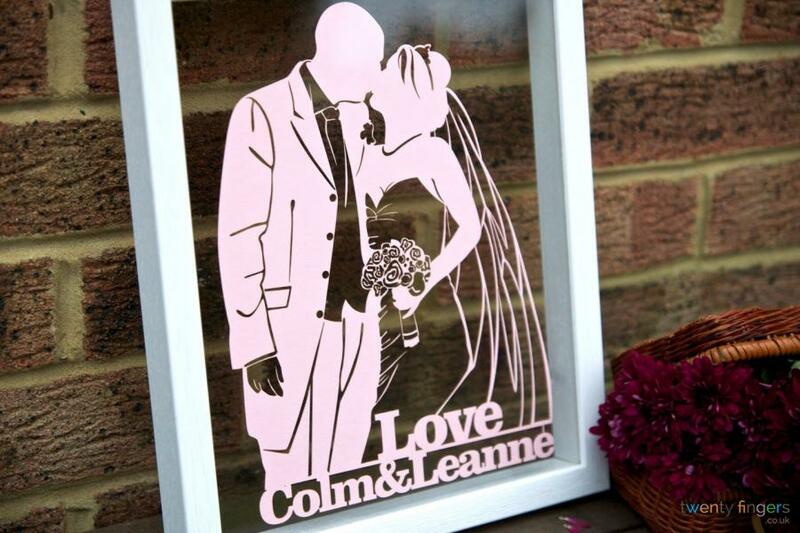 If you looking to buy a gift that is as unique as the person you love, a Silhouette Papercut will make the perfect choice. 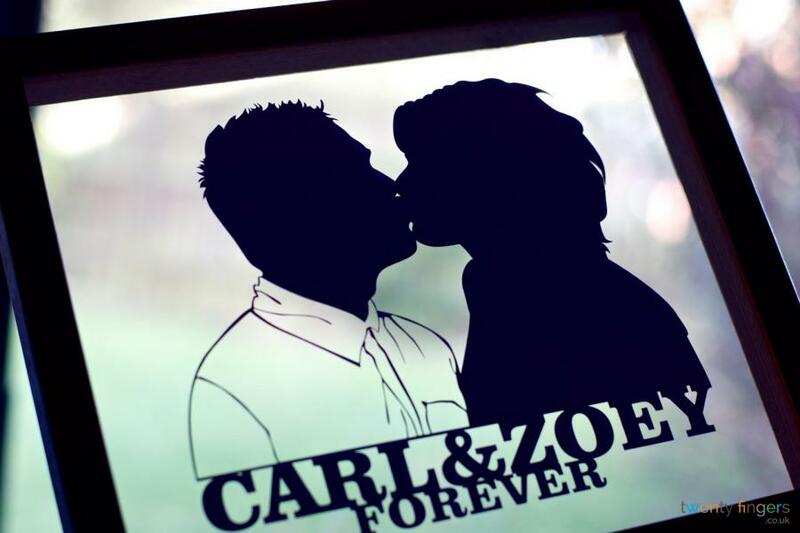 Simply send us your favourite picture of you and your loved one and we’ll turn it into your very own custom-made artwork. 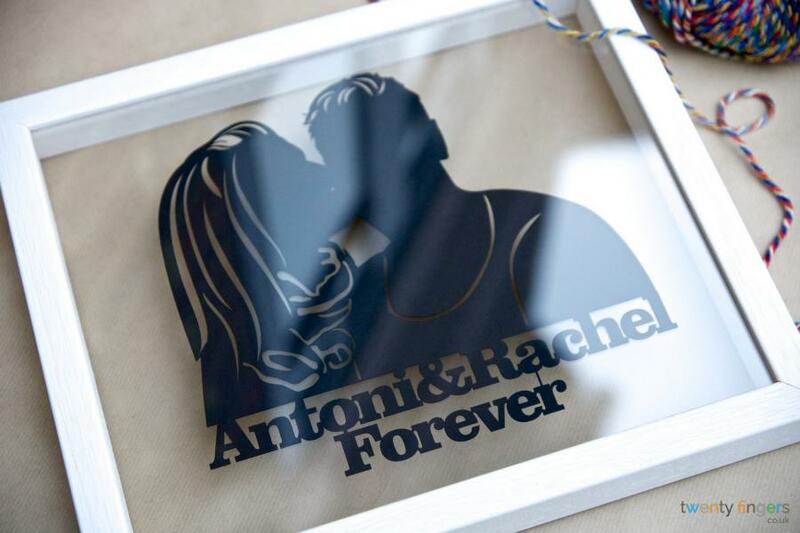 As you can see in the examples shown above, you can have your names featured in your Silhouette Papercut, as well as other words. 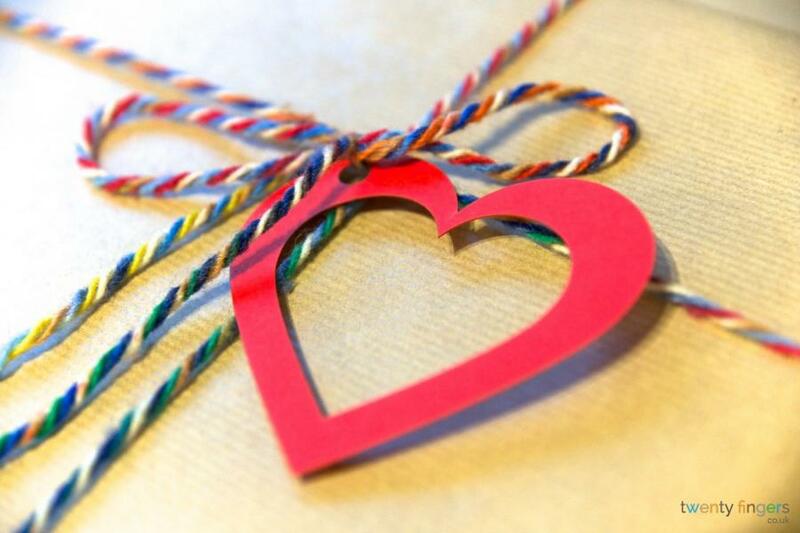 Some people choose to have the word ‘Love’ cut out above their names, whereas others like to feature a date that is important to them, such as the day they met or the day they got married. 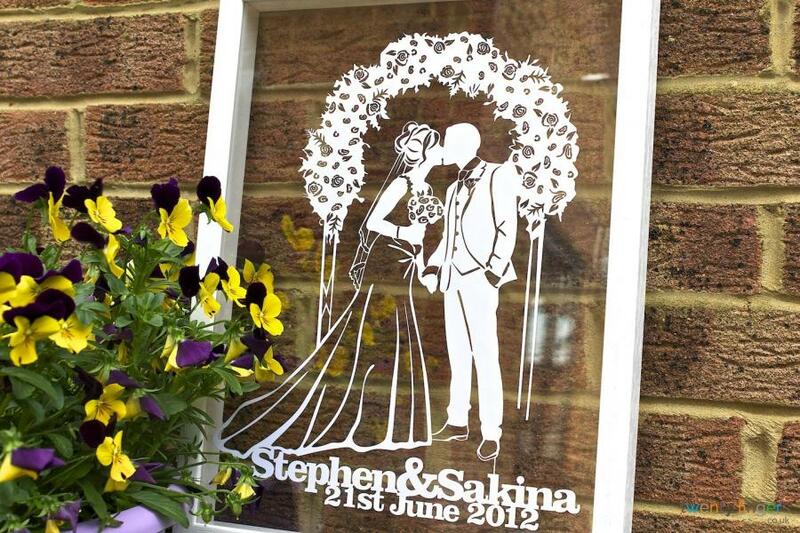 You can also customise your Silhouette Papercut by choosing from the twenty one colour options featured above. 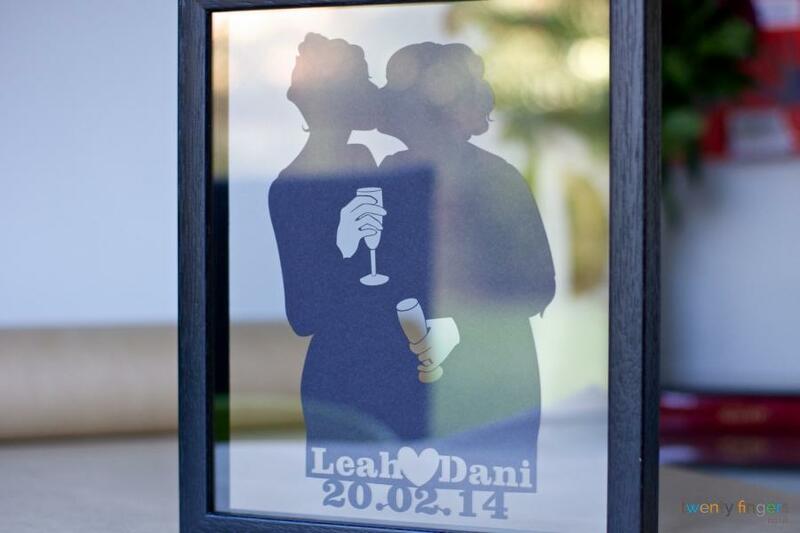 Floating frames in a number of different finishes are available for an extra cost. 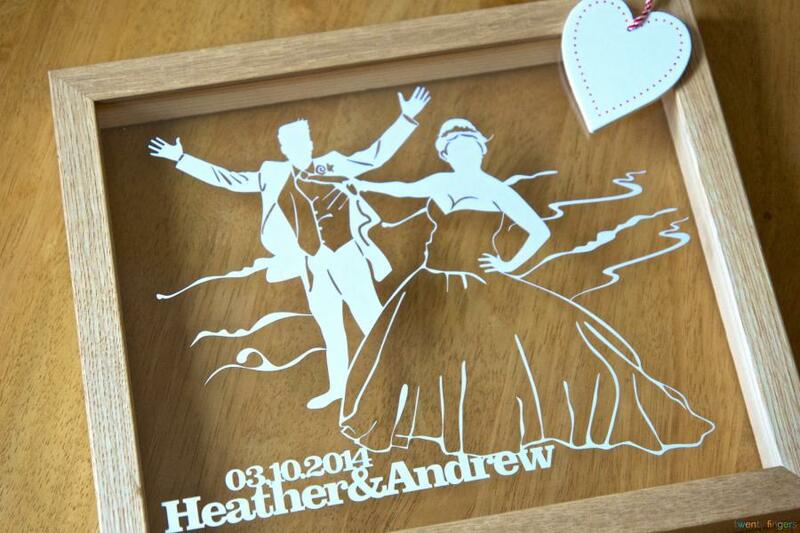 Why choose a Silhouette Papercut? 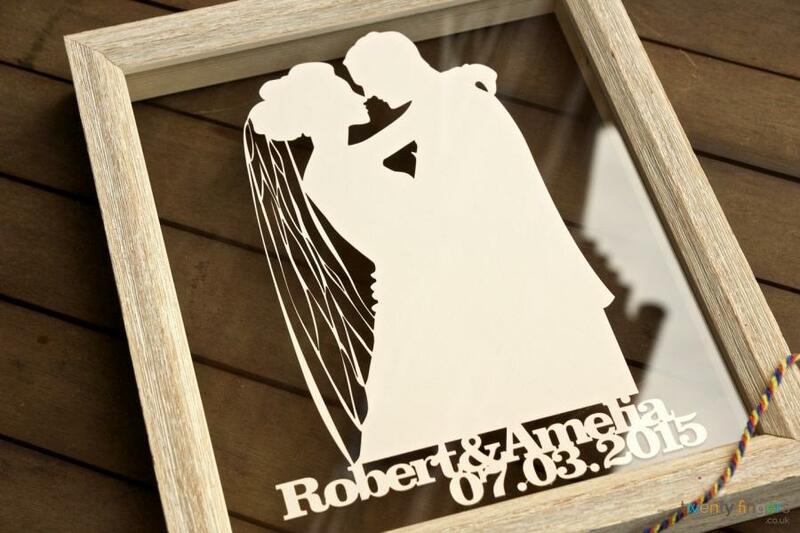 Perfect gift for all occasions – Suitable for birthdays, weddings, anniversaries and Valentine’s, the Silhouette Papercut is the perfect gift for all occasions. 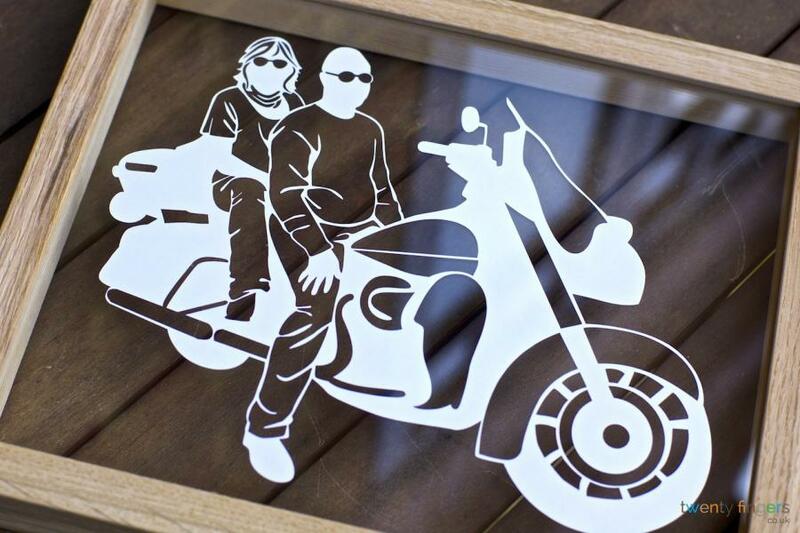 100% bespoke – No one else in the world will own exactly the same Silhouette Papercut as you, as it will be created using the photo you send to us. 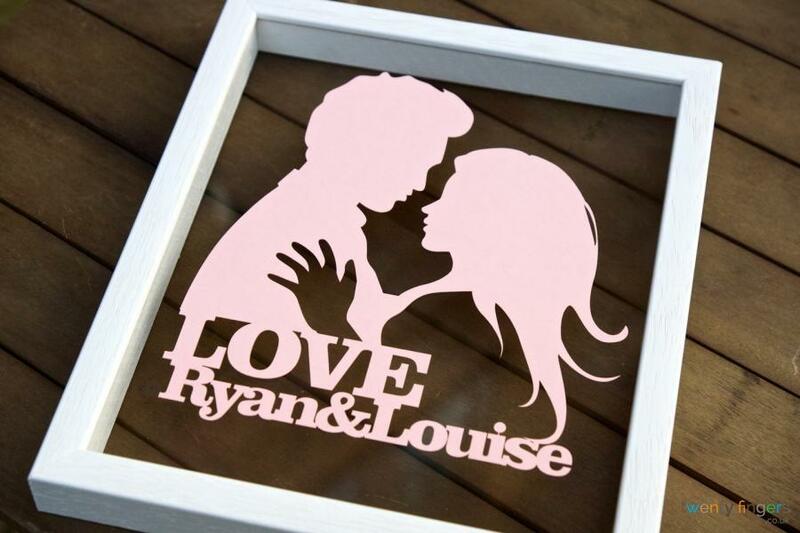 Personalise your love nest – A Silhouette Papercut will make a beautiful edition to your home and symbolise your love for each other. 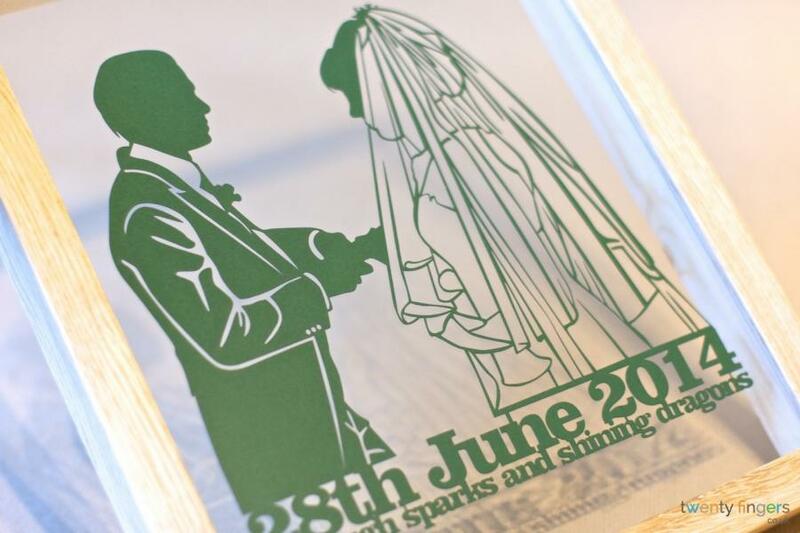 Our frames are all handmade by our local framers in Buckinghamshire. 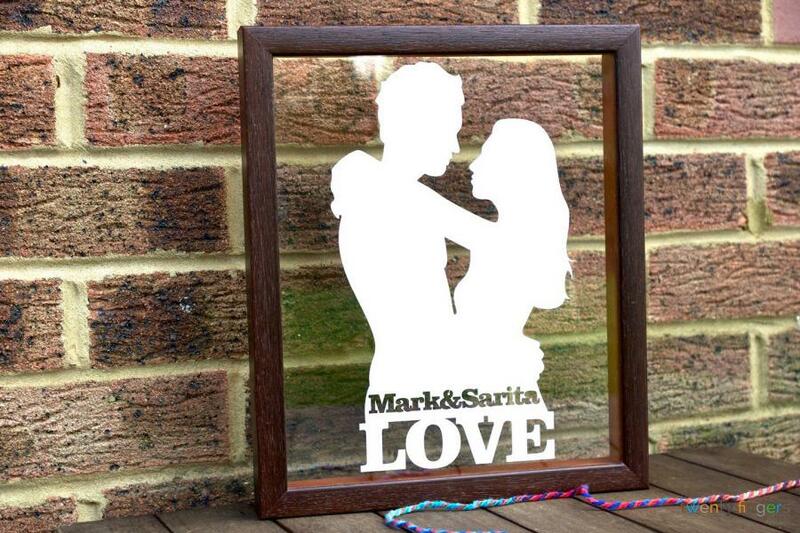 They offer a contemporary and stylish ‘floating frame’ effect. 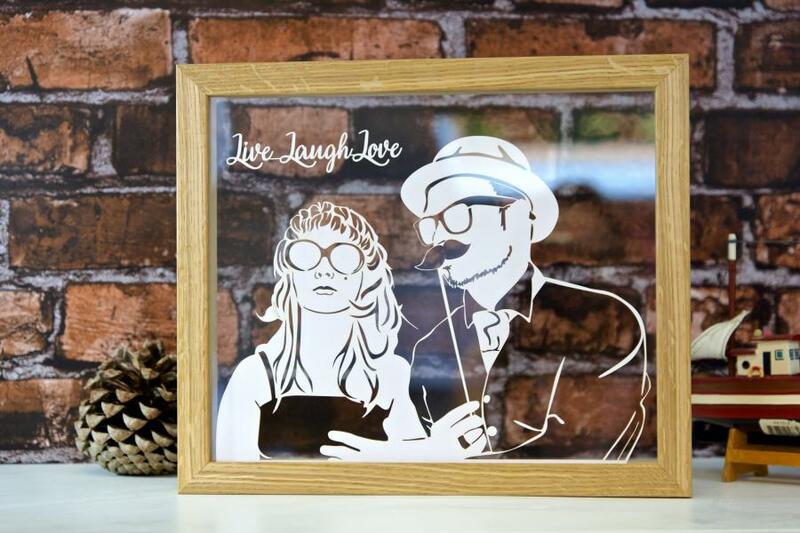 These frames are suitable for hanging on walls or left as freestanding artwork. 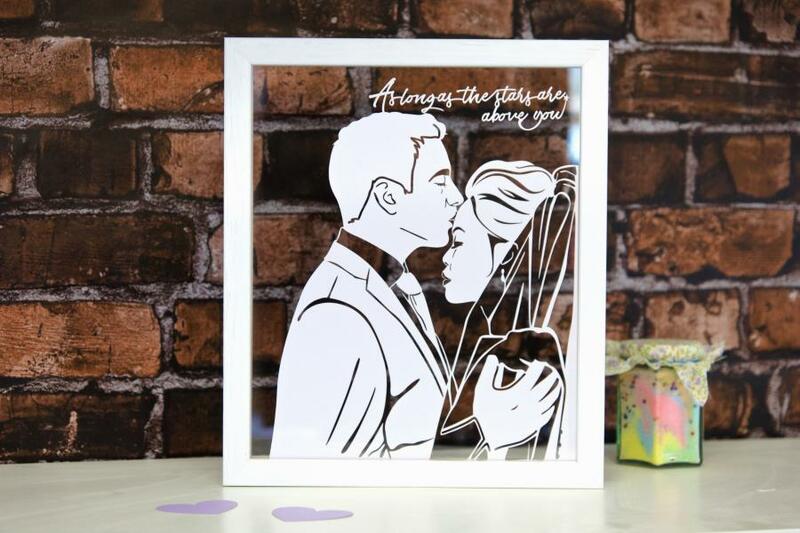 If you are looking for the perfect gift for a special couple, the Love Silhouette Papercut is something they are sure to love and treasure forever. 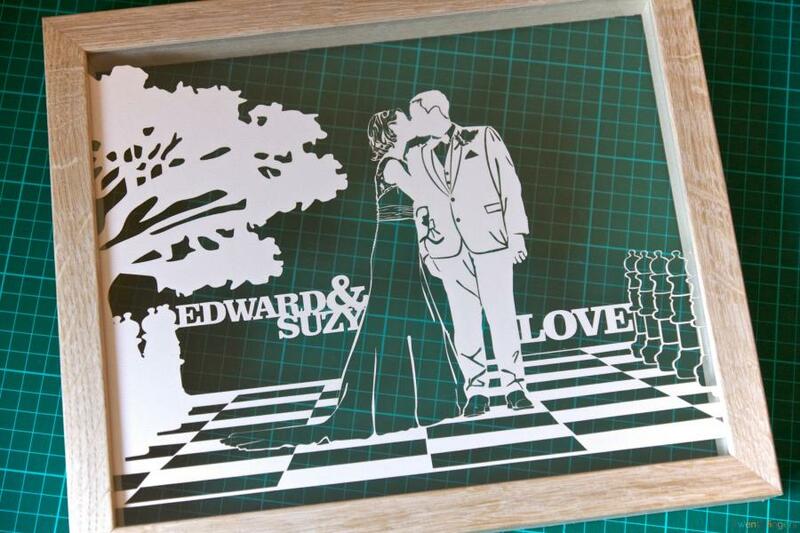 Love tree can be ordered either framed or unframed. 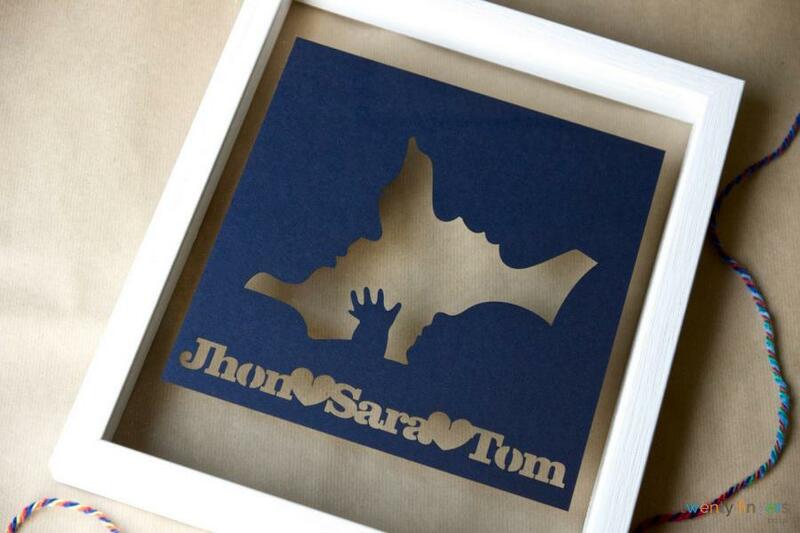 Unframed Love Silhouettes are cut from a single sheet of 21 x 30cm (A4). 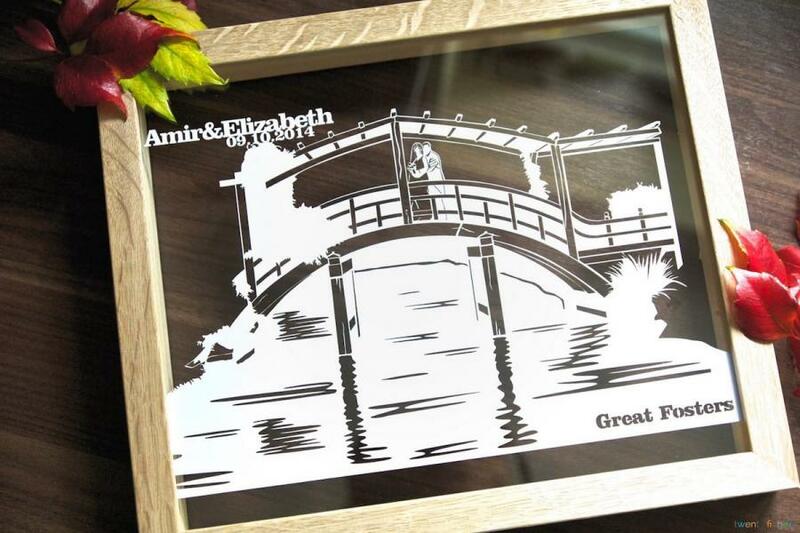 If you choose to have your papercut framed in one of our gorgeous hand made ‘“floating frames” it will be mounted between two sheets of glass and framed in white, black, walnut, ivory effect or real unfinished oak frame. 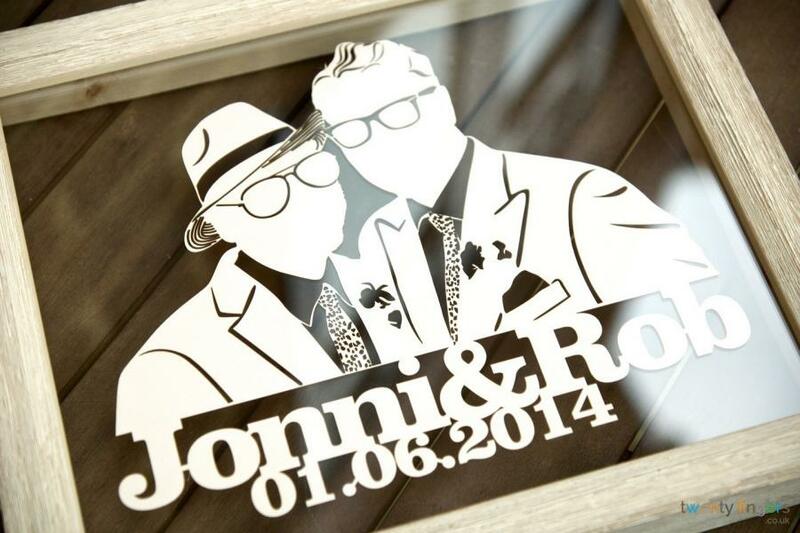 Frames available in 10" x 12" and 12" x 16" sizes. Custom sizes are welcome. I ordered a beach themed wedding picture as a wedding gift for my sister. We all loved it !!! Really great quality and excellent service. I love my picture and frame! 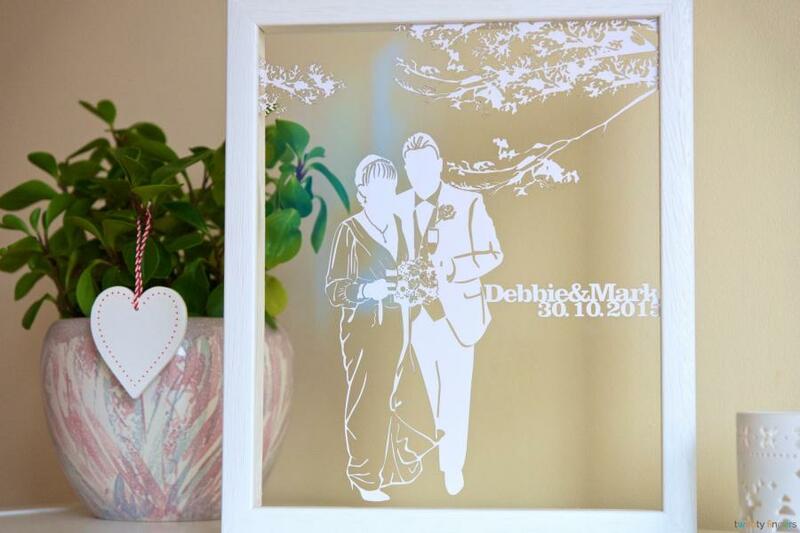 As photographers by trade, my husband and I have lots of photos in and around our house, and when looking for a 5th wedding anniversary gift I saw an advert for twenty fingers' work on Facebook. I hadn't previously seen anything like this and absolutely loved the examples online, so chose a photo I hoped would look good and ordered a gorgeous frame to go with it. The communication was great, and when a mock up of what the picure would look like arrived in my inbox I was over the moon! When it actually arrived and I saw the frame too I was chuffed to bits, and I husband absolutely loves it. I will definitely be ordering again and recommending to everyone I know! It is extra special as small business owners to support other small businesses too smile emoticon Thanks again Twenty Fingers! Great communication from the seller who was happy to meet with what i wanted for my mum.smile emoticon my mum was thrilled with the picture.was a perfect gift for her from all of her children.thank you so much. 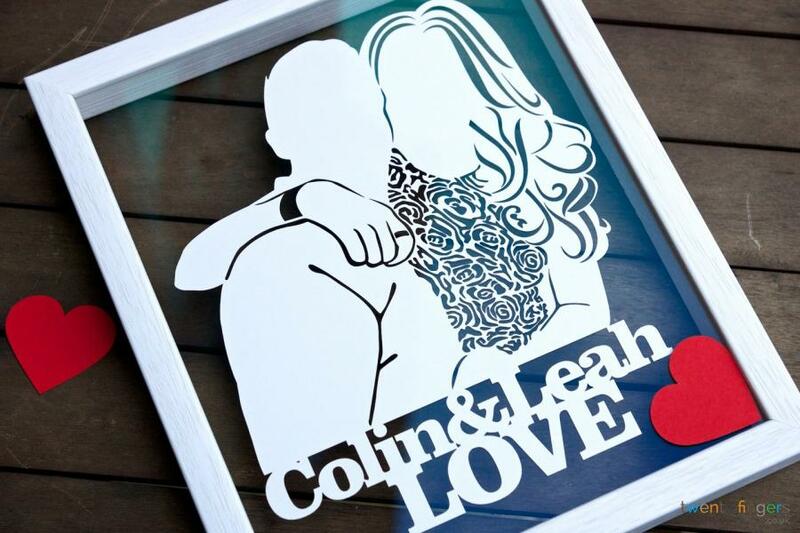 Ordered a framed paper cut of my husband and I from our first dance at our wedding- we LOVE it- thank you. 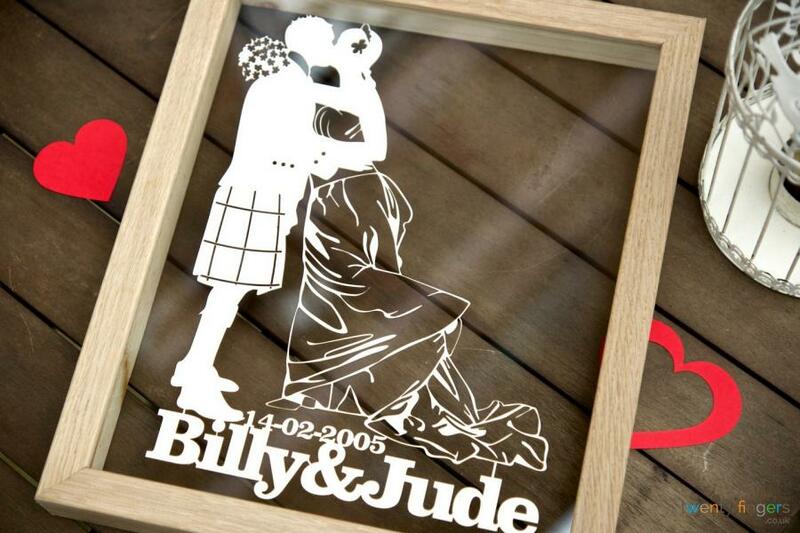 Quick, professional service and beautiful product & keepsake. Brilliant piece of personalised art! Well worth the price paid. Excellent service.